I have been blogging earlier about the integration between Oracle eBS R12 and Oracle BI 11g as well as inheriting the Oracle eBS Security in Oracle BI. Instead of making a Oracle BI Application Role for each Oracle eBS Responsibility you would like to use in Oracle BI, make use of an Oracle eBS Profile Option. You could define an Oracle eBS Profile Option (e.g. 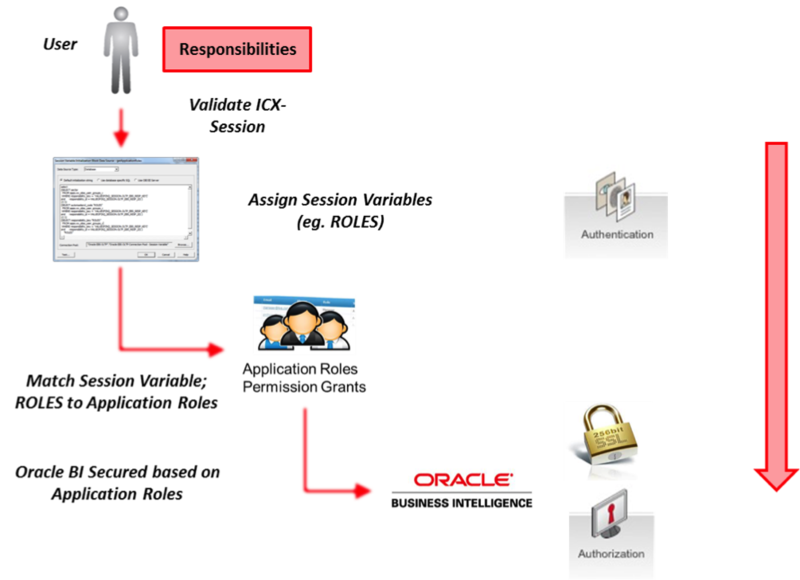 XXBI_SECURITY_PROFILE – Oracle BI Security Profile) and apply this to an Oracle eBS Responsibility. This makes it easier to maintain the Security Inheritance. When you add a new Responsibility to Oracle eBS, you do not have add this Responsibility to Oracle BI. Just make sure the Oracle eBS Responsibility gets the Oracle eBS Profile Option applied or define the Oracle BI Security Profile on Site Level as a default. So instead of matching the Oracle eBS Responsibility to a Oracle BI Application Role, match an Oracle eBS Profile Option (assigned to an Oracle eBS Responsibility or on Site Level) to a Oracle BI Application Role. You have to follow a few steps in Oracle eBS. Navigate to Application Developer – Application, Lookups, Common to add a lookup type with the different values for the Oracle BI Security Profile.